CDI has been a manufacturer of innovative state-of-the-art digital and mechanical gages since 1932. We’ve been working to develop new, more accurate, more advanced gages from the beginning. All this experience helps us to serve our customers more responsively, more efficiently, and more economically. Also, we pay close attention to the requests of every customer. Your custom designed gage will have exactly the features you want. While our gages are built to American Gage Design specifications, and have the precision and accuracy customers have come to expect, our digital LOGICTMOEM and mechanical OEM gages are our flagship lines. They represent the best in both digital and mechanical OEM gages. Whatever your gage application, we are ready to design a gage of the highest quality to meet your exact requirements. Our digital and mechanical gages offer an unequaled combination of excellent standard features, user-settable options, and custom features. We’re confident that Chicago Dial Indicator Company can make the gage you need! All CDI indicators are American Designed, American Engineered and American Made to reflect the best in quality, materials and workmanship… truly the global standard in precision indicators. We built our first mechanical gage in 1932. 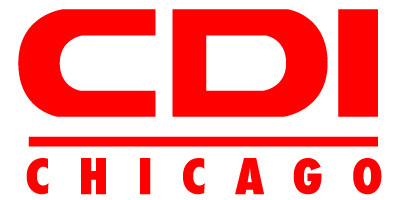 In fact, Chicago Dial Indicator (CDI) is a pioneer in the gaging industry, with a legacy built on the simple philosophy of creating the highest quality products backed by tireless service. Over 74+ years have passed. Designs improve, technology changes. Our pride endures. We changed the industry then and we’re changing the industry now. CDI products share in your success. We specialize in partnerships, helping you create the finest products possible. Companies large and small depend on us. We work with of the biggest names in the business, from the fields of aeronautics to hydro-electrics, civil engineering to mechanical construction. How can we help your business? Although we made our name with mechanical gages, we didn’t stop there. Our complete line of digital measuring gages and indicators, as best represented by the Logic series, is the most advanced in the world. Accurate. Reliable. Quality workmanship. Service. All hallmarks of our business, the standard in which CDI has made its reputation. Our company’s foundation was forged long ago. Our ongoing success lies in today. Throughout this web-site you will see the finest mechanical, and electronic indicators and accessories on the market, built and serviced with the same steadfast commitment that put us where we are today. For those special needs, we offer custom-designed gages for all your unique applications. CDI is moving forward, just as we always have. We, the employees of Chicago Dial Indicator, are committed to exceeding the requirements of our customers and co-workers the first time-every time-through a zero defects and continuous quality improvement philosophy.